Homeschooling and homesteading just seem to go together like peanut butter and jelly. Sure, each one is good separately, but together, well, now you have something really special to sink your teeth into. Millions of Americans across the country are homeschooling their children for a vast array of reasons – more now in our modern age than at any other point since records have been kept, actually. Why so many American families are choosing to homeschool is likely linked to recent law changes that now make it legal to do so in all 50 states. As detailed in a previous New Life On A Homestead homeschooling post, parents can choose to educate their children at home no matter where they live…but that does not mean some states make the process simple and easy. Follow the link above to learn specifics regarding home education in your state BEFORE removing or neglecting to enroll your child in public school to avoid unnecessary legal troubles and frustrating battles with district administrators. 1. Will I be educating multiple children of various ages in my homeschool? 2. Will I be the only educator in my homeschool and responsible for teaching all subjects? 3. Do I want to be part of a homeschool group or teach children at home with other homeschooling parent? 5. Will hands-on learning be a major component of my children’s home education plan? 6. 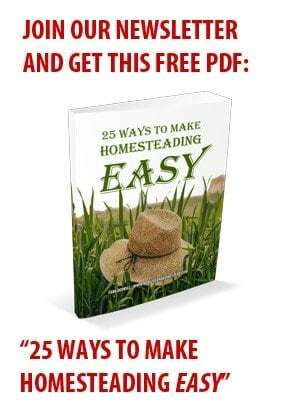 How can I use my homestead as a “classroom” to teach valuable sustainability and self-reliance skills? 7. How large of a percentage of the learning will take place at a table or desk? 8. Will field trips be a regular part of the homeschooling experience for my children? 9. 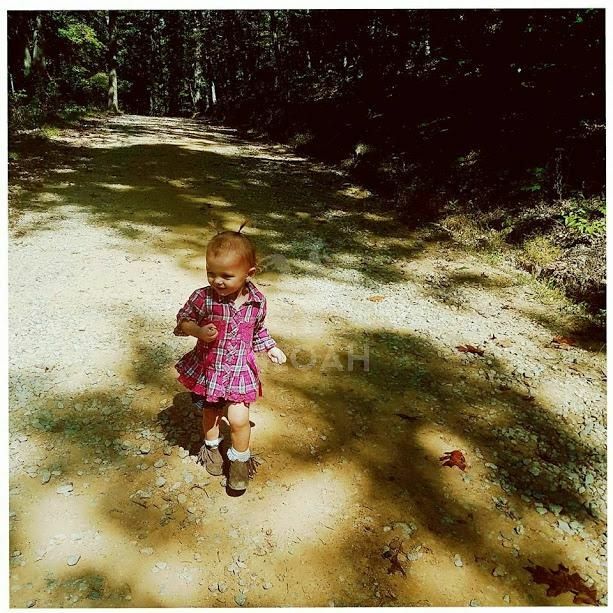 Will I be incorporating non-school age children and a preschool into my homeschool plan now or in the near future – or be caring for babies while teaching? 10. What type of a budget will I be working with for curriculum materials, supplies, field trip, and classroom set up? Give careful thought to each of these questions before creating an outline for your homeschool. Once you have a ballpark idea about how you want the homeschool to function, next you have to determine when and where the structured learning will take place. Typically, as noted in the linked post above, states set a minimum number of hours per year that homeschooling must take place. Some states also regulate the minimum number of hours per mandatory subjects. Exactly what constitutes “learning” is largely left up to the discretion of the parents. But, children in some states have to pass a public school administered examination either annually or during specific grade levels. No need to panic about the state testing. The vast majority of homeschooled students are typically far beyond their public school peers academically. STEAM (science, technology, engineering, art, and math) activities allow homeschooling parents to create unit studies that are engaging, fun, and meet academic standards in multiple subjects during a single lesson. Using stamps is but one way to help teach spelling, reading, math, and create comprehension exercises in a hands-on way through art. Because homeschooled children are receiving one-on-one or small group attention from their teaching parent, they either learn more quickly or have time to approach learning as the adventure it should be an do a plethora of extension activities, experiments, related art projects, and field trips…or both. Playing in the dirt can be educational…seriously. 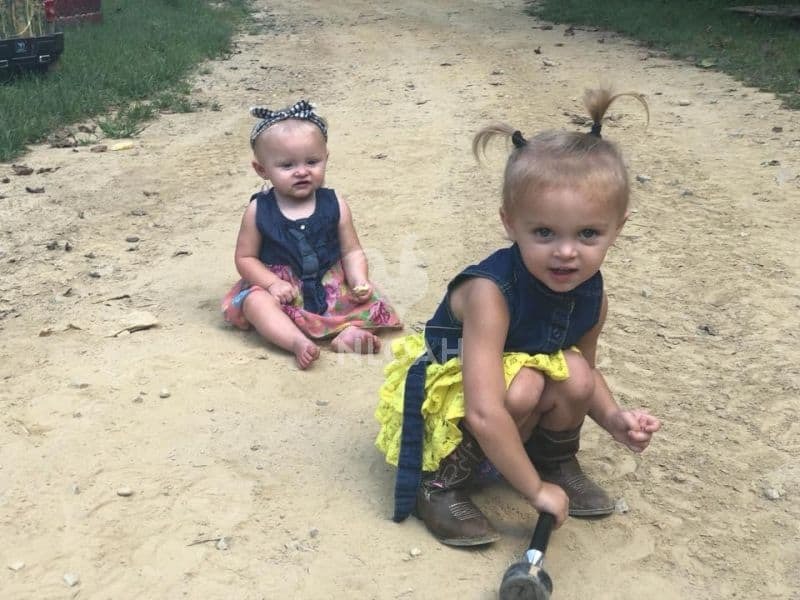 To teach young children about nature, the varying weight of certain objects, colors, textures, and enhanced hand and eye coordination, all you need is a little patch of dirt to explore. Most homeschooling days last only four hours or five hours four days per week – at least for structured learning. Unstructured learning, which infused adventure, excitement, and wonder back into the school experience, can take on many forms and generally counts toward the minimum number of hours a given state requires by law. 1. Hikes in the woods – This type of activity can be part of both a science lesson and help meet physical education requirements. 2. Cooking – When children cook their lunch or help prepare breakfast and dinner, they are learning about nutrition, reading recipes, following multi-step instructions and comprehending what they read, engage in math concepts through measuring, and science throughout the cooking process. 3. Fishing – Take the kiddos fishing to teach them about the environment, water safety, how to follow instructions, native wildlife, nutrition, boating, soil erosion, and conservation. 4. Hunting – Like fishing, going hunting will teach children about the food chain, the environment, nutrition, orienteering, native wildlife, and so much more. 5. Barn Chores – If you live on a rural homestead, or even a suburban homestead where chickens are kept, make the caring for the animals a part of the homeschool experience. Even children as young as toddlers can help collect eggs and pour feed into buckets. There is no better way to drive home the farm-to-table concept than by exposing children to the barnyard at an early age. The chores can be used as extension activities for a combined science, language arts, health and nutrition, history, and even math lesson. 6. Camping – Whether it is in the backyard or in the middle of nowhere, children can learn how to start a fire, identify trees, leaves, animal prints and sign, find water, etc. as part of a science and history lesson. 7. Group Involvement – If the child is involved in 4-H, Boy or Girl Scouts, takes music lessons, play baseball, and many things in between, those activities can be incorporated into the homeschooling curriculum to address specific academic standards. 8. Workshop – Teaching vocational skills should also be a part of a self-reliance homeschool curriculum. Working with manual and then power tools when it is age appropriate will teach the children valuable skills as they learn about working with wood, metal, leather, etc. Workshop and mechanics educational units can fulfill science standards and also be used as part of math, history, and language arts lessons. 9. Handicrafts – Teach the children how to sew, make their own candles, make their own toys, etc. as part of history and math lessons and reading extension activities. 10. Household Chores – Children will learn valuable health lessons when they learn why it is important to clean the house and how to do it properly – as well as make their own natural cleaning products – which in turn could be part of a science lesson. 11. Gardening – Teach the children not only how to grow their own food, but how to harvest it, preserve it, test the soil, and make natural insecticides as part of science, math, and health lessons – also as reading extension activities. 12. Hobbies – Let the child’s passion help drive the curriculum. If a child is an aspiring photographer, use that interest as part of the learning process as a writing activity, to create a photo or video journal of barnyard chores, the cooking process, etc. 13. Volunteering – Allow the children to volunteer at an animal shelter, veterans program, elderly program, the local historical museum, or any other place that sparks their interest as part of the homeschooling experience. What they learn can be incorporated into related academic lessons and/or used for a language arts writing project. 14. Field Trips – Go visit the local library and participate in children’s programming offered there for free, take a tour of the local fire department, a working farm, go ride on a train, tour a local historical site or museum, the opportunities are nearly endless. As you can see, the amount of time a child needs to spend seated at a table or desk can be minimal. Reading lessons do not need to be engaged in around a table. Place a blanket on the ground during the spring and read under a tree in the backyard, or cuddled up on a rug in front of the fireplace during the winter. It is a common misconception that homeschooling parents must dedicate an entire room for the purpose of educating their child. Sure, if you have a whole room to spare, go for it, but it is not necessary. The kitchen table will work just fine for the bulk of the seated homeschooling activities. 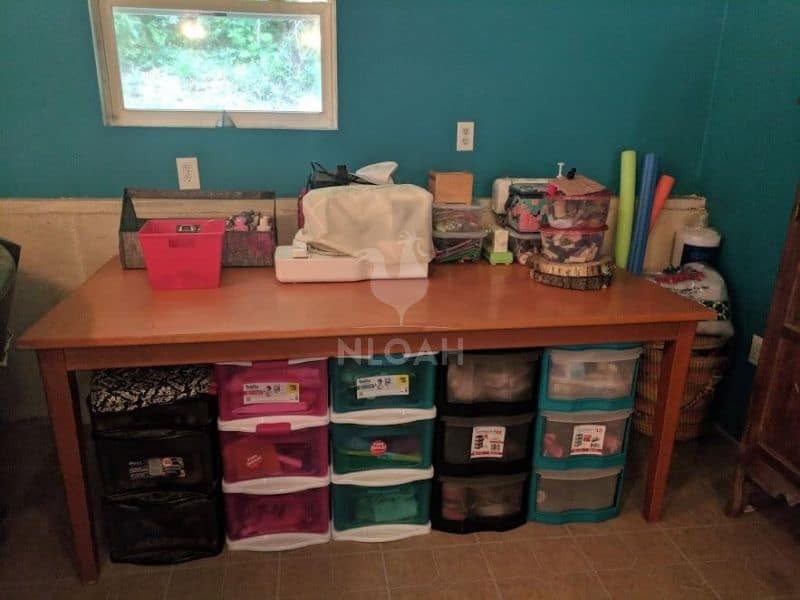 The square footage requirement that will likely need the most attention in the homeschool relates not to seating capacity, but storage. Markers, paper, printed learning materials, and manipulatives for learning extension activities do tend to take up space. This is a perfect example of how little space a homeschooling “classroom” could consume. The storage bins can be pushed out to make room at the table for children when they need to sit to work on a project. There is another row of identical storage drawers placed behind the visible first row to store even more materials – the type that are not needed on a regular basis. The homeschooling classroom at our house doubles as a playroom (hey, learning should be fun!) and sleeping area for the grandkiddos. 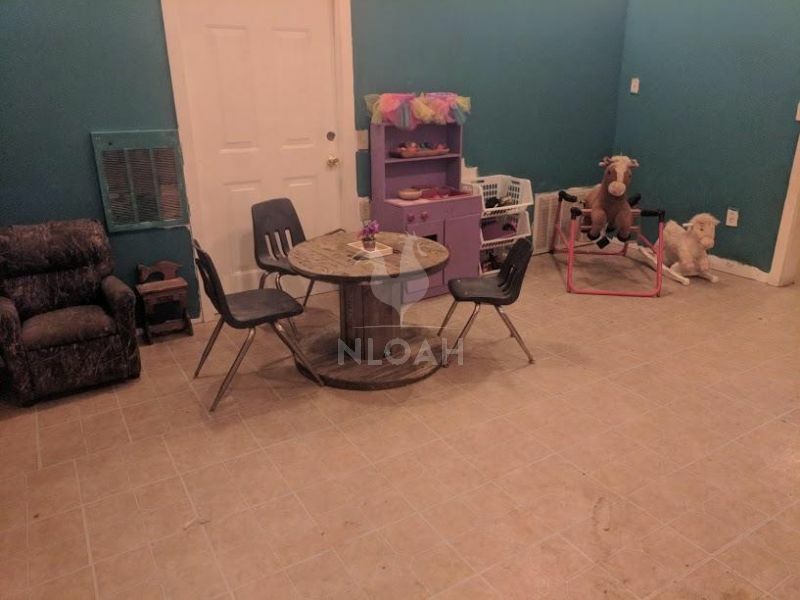 We have more space at our house than our daughter does in her cabin next door on our homestead, so we adapted the playroom to serve multiple needs. The homeschooling area is in the midst of a makeover at the moment. Gone is the child-sized school like table. Because the table in the photo above now doubles as my crafting table and a learning table, we no longer needed the more industrial type table in the playroom. 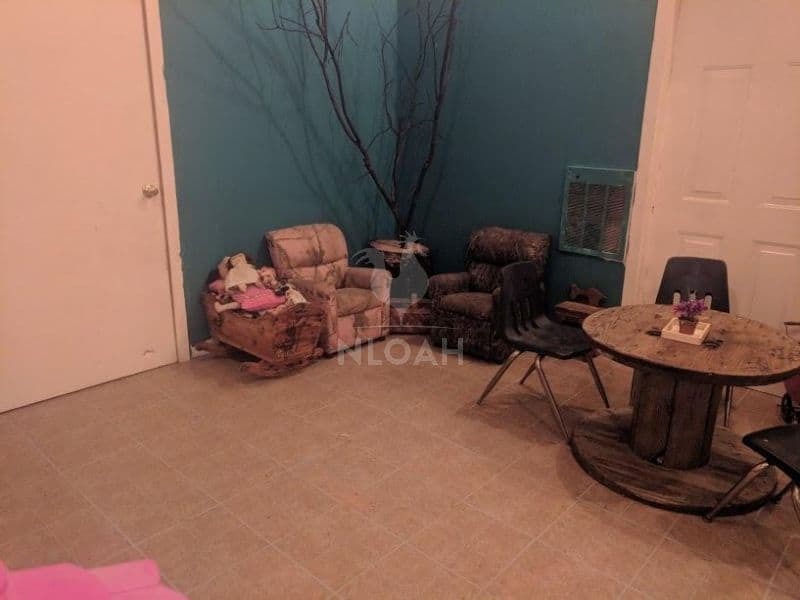 I moved a wooden wire spool into the playroom to offer the children a place to sit and read or write that can also be used for creative pretend play. I preferred having more open space for activities in the room than the bigger table allowed. Previously all the walls were white with a farm mural theme. I decided to redo the room with an enchanted forest theme to bring the outdoors in even more and warm the space up to making it more calming, inviting, and to spark the imaginations of the children even more. They love to create their own adventures. 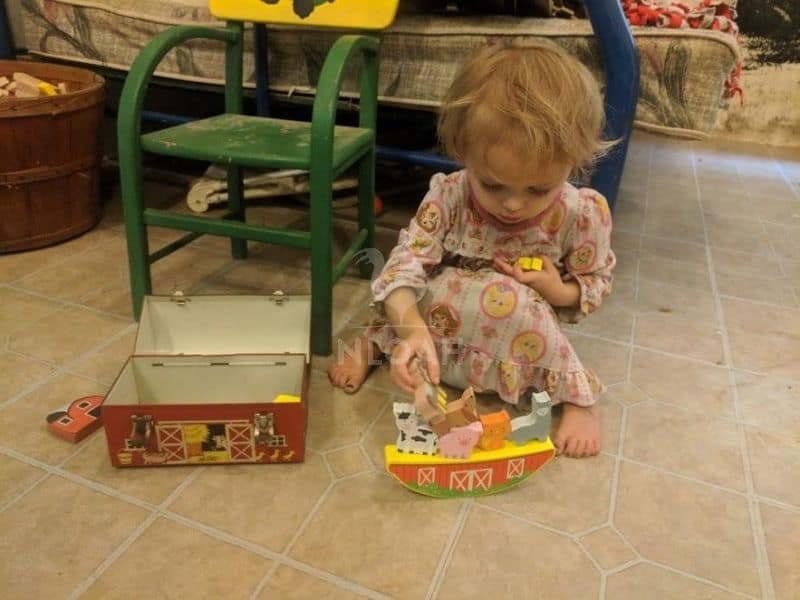 The bottom bunk bed, which is a full under a twin, is being turned into a pirate ship – a decision provoked by their constant use of the lower bed in this manner. The kiddos don their Dollar Tree pirate gear and go on grand adventures in their “boat.” Such play can be incorporated into a curriculum by reading books about pirates, learning about the ocean, sea life, and historically significant pirate as well as boat building. This type of adaptable and child-led curriculum can be used to accompany whatever interests your child during a given time period and will be so well-received by your children they will not even grasp that they are “in school. Keeping an area inside or outside of your home that can be used to create a little world or adventure scenario as part of your “homeschooling classroom” will open up a lot of exciting learning opportunities. • Make the most of your wall space to decrease the amount of storage space necessary for homeschooling. Sew or buy canvas bags that can hold academic and extension materials and hang them on the back of the door or onto the wall. This will make for easy cleanup up after activities and teach the children to be responsible for cleaning up their space after a lesson or learning adventure – especially if blocks are involved. • Turn part of a wall into a chalkboard with paint. The children can practice their math facts, spelling words, etc. by writing on the board with colorful chalk. This will reduce the amount of money spent and storage used for pencils and paper. • Hang a magnetic white board on the wall to use for academic lessons and extension activities for use with purchased or homemade educational magnetics i.e. numbers, letters, animals, symbols, etc. • Make a flannel board to use for reading and math extension activities. An old flannel sheet or shirt attached to a folding piece of cardboard can easily and quickly be pulled out or use and then be tucked away – with all of the materials used for lessons stored in labeled file folders that are placed in side a hanging canvas bag. You can print counting aids, letters, numbers, etc. from the internet and glue a piece of felt on the back so they will adhere to the board when used by yourself or independently by little hands during a lesson – especially if a board is made for use by each child. • Work with the children to sew a floor cushion or use a hole punch and yarn to affix to plastic placemats together to make comfortable floor seating that is a space saver and can be taken to create a classroom anywhere. • Print file folder games to use for learning centers to save space as well. 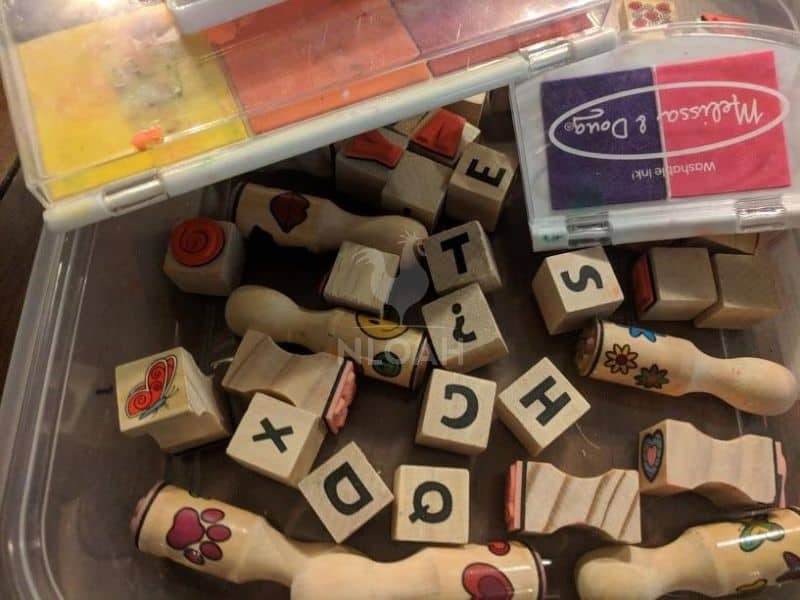 The pieces for the (typically free to print) educational games and interactive worksheets can be stored in a freezer bag that is paperclipped to the file folder. The folders can be stored in hanging canvas bag and placed on a table or the floor for use by the children in the homeschooling classroom – or at a doctor’s office or in the car when the typical day is interrupted by a necessary trip away from the homestead. When working with children of multiple ages or if you need to keep younger children occupied during the homeschooling day, make and/or buy age appropriate learning toys for them that they can enjoy independently and tie into the academic theme or the week or overall scope of your homeschool plan. Little Auddie is playing with a wooden farm animal balancing game while her older sibling is learning about farm animals as part of a science unit. Later, they both helped with farm chores, helped make their breakfast from farm fresh eggs they collected, and listened as I read a storybook about barnyards. Textbooks are not a necessary part of the homeschool experience, but those types of traditional learning tools as well as themed workbooks and packets are for sale online from a nominal to expensive cost at homeschooling supply retailers. Many, if not all, homeschooling websites offer some freebie lesson plans and learning materials that can be printed by homeschooling parents. Making lapbooks and notebooks (for older children) is a really fun and interactive way to replace the seated textbook and workbook learning associated with traditional learning. Both “book” alternatives are easy and nearly free to make. You do not have to possess and educational background to come up with interesting and challenging lapbooks and notebooks, templates to create them are readily available online to print for free or a nominal cost. 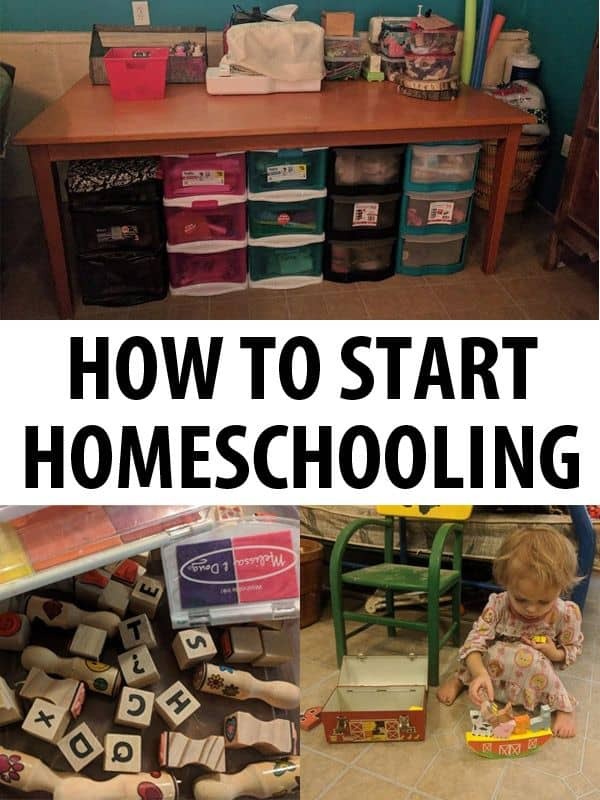 To learn more about making lapbooks, notebooks, file folder games, and other paper-free and interactive homeschooling lessons, check out my two related Pinterest boards. Most everything on the boards can be printed for free from the website that features them (except the storybooks) but some may charge a small fee to garner the lesson plan materials. Some homeschooling parents prefer to start the day with seat work as the child begins to get more awake after breakfast, but is not yet quite ready to be fully engaged in interactive activity. This is a great time of day to use workbooks for self-guided and independent learning, if you are choosing to go the workbook route in your homeschool. The child can learn the morning routine quickly and might really appreciate the quiet get awake time after helping make and then eating breakfast. This style or morning learning will give you time to take care of any chores or classroom setup – or take a shower. The child can go to their crate or canvas bag and take out a workbook and complete the required pages or work on a homemade lapbook. Another option to instead of morning workbooks or lapbooks, or in addition to it, is to set an education video related to the lesson plan of the week of month, to play right after breakfast. When the video is completed, extension activities or a question and answer session about what the child learned, can be the next step in the homeschooling day. Is There One Right Or Wrong Way To Homeschool? The short and definitive answer to that question is absolutely not. When getting involved in the homeschooling community either online or by joining groups in your region, you just might encounter a few folks who can become rather militant about their chosen homeschooling style and why they think it is the ONLY way to teach children. Homeschooling is not a one size fits all type of thing. What works best for one family would fail miserably for another. Do not feel like an idiot if you are not familiar with all different homeschooling philosophies and names of heralded educational gurus tossed about among seasoned homeschooling parents. We were all knew to this endeavor once and most folks you will meet either in person or virtually will be eager to answer your questions and share their knowledge with you. 1. Charlotte Mason – This renowned method of homeschooling is focused upon preparing a “feast” before the child for them to eagerly devour. Mason loathed textbooks and considered them the dumbing down approach to teaching children. She instead used “living books” to teach a child about a topic and then infused handicafts, art, and music to delve into the subject more deeply. 2. Traditional – This style of homeschooling basically mirrors a public school format and uses a mixture or textbooks, workbooks, and computer lessons. 3. Waldorf – This young child homeschooling method is similar to Charlotte Mason in some respects. It offers learning opportunities to the child to consume and uses simple yet beautiful natural materials to encourage them to explore, imagine, and eagerly learn while interacting with the educational toy, setting, or their peers. 4. Classical – This type of homeschooling teaches children in three stages commonly referred to as the Trivium. The grammar school stages focuses of children aged six through 10. At this stage children are presented with information to absorb and memorize, including those that are neglected in many public schools – phonics and grammar. During the Dialectic stage for ages 10 through 12, logical discussion, drawing conclusions, debate, and thesis writing is focused upon. The final stage, the Rhetoric stage for ages 13 through 18, uses rigorous study of a subject and persuasive use writing and the spoken word to teach. 5. Reggio Emilia – This approach to learning mirrors the Waldorf approach to a decent degree and it is also focused on the young child. The Emilia method uses natural materials to teach, and considers the classroom as a “living organism” for child-guided exploration and interaction. It is a whole child approach to learning where the teacher is considered a guide or nurturer who observes and creates learning opportunities while encouraging the child to interact with their environment in the classroom and community, especially by verbal communication. 6. Unit Studies – This homeschooling style incorporates all traditional public school students into a cross-over learning unit. A typical unit trees would involve measuring the diameter of the tree and estimating height as part of a math lesson, learning how to identify tree by its bark, leaves, and what it produces, for a science lesson, reading a book about trees, learning how to use what the tree produces as part of a health lesson, and making a diorama using the tree for an art and history lesson. 7. Unschooling – This approach to homeschooling is entirely child-guided based upon their own interests of the moment. If a child is infatuated with horses, the parents creates learning opportunities centered around horses until the child has had his or her fill and want to move on to learning about honey bees or airplanes. It is likely that the vast majority of homeschooling parents use a combination of several of these approaches when educating their children. Many homeschooling parents also incorporate or base the curriculum with faith-based learning. Flexibility is strongly encouraged when homeschooling. You might try one approach to teaching the children at home which seems ideal, but either does not work out as well as planned or fails epically. You are not locked into one style of teaching for an entire year, or even an entire month. Expect a transitional period for both yourself and the children after moving away from public school or discovering how to teach young children at home for the first time. The ability to adapt will help you keep your sanity and offer the best learning experience possible for your children – never be afraid to toss out carefully crafted lesson plans in favor of trying a new approach. In almost all states, homeschooled students can participate in extracurricular activities like sports, band, choir, drama club, and FFA even if they do not exercise the option to attend any classes in the public school district at all. Homeschooled students in many states can also participate in college credit plus style programs beginning in the seventh grade. These type of programs permit students who meet the minimum academic standards to take either online or on campus college courses to earn dual middle or high school and college credit while satisfying the requirements of each. There is no cost to the parents for either the courses or required textbooks in most states, but if a course’s fees are deemed extensive (like tools needed for a welding course or horseback riding course) parents might have to cover some of that expense. The department of education website that serves your state should have complete details about college credit plus programs currently in operation. In some states, a growing number it seems, homeschool students can be permitted to attend public school to take a single or several classes. The specifics about such an option vary by state, but typically do not require any type of class or book fee by the parents.